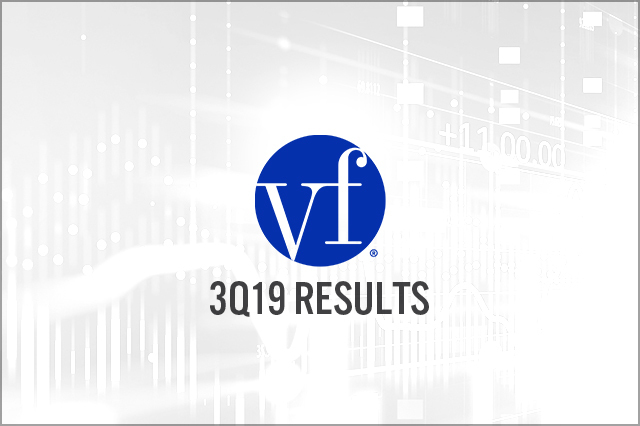 VF Corp’s Active segment led fiscal 3Q19 sales growth with a 16% year-over-year increase, including a 25% increase at Vans. The North Face revenues grew 14%, driving an 11% gain in the Outdoor segment. The Active segment drove operating margin expansion, with a 270-basis-pointsegment operating margin improvement, to 23.9%. Adjusted EPS of $1.31 rose 29.7%, beating the $1.10 consensus estimate.